This little yellow chuch is the Church of the Birth of Christ was was originally built in 1814 and then rebuilt in 2005. I had no idea at the time of taking this photo but this is the church at which the Ukrainian poet and unofficial champion/mascot of this blog, Taras Shevchenko, was laid to rest while his body was transported back to his home in 1861. In 1930 the church was destroyed by the Communists and rebuilt 75 years later. 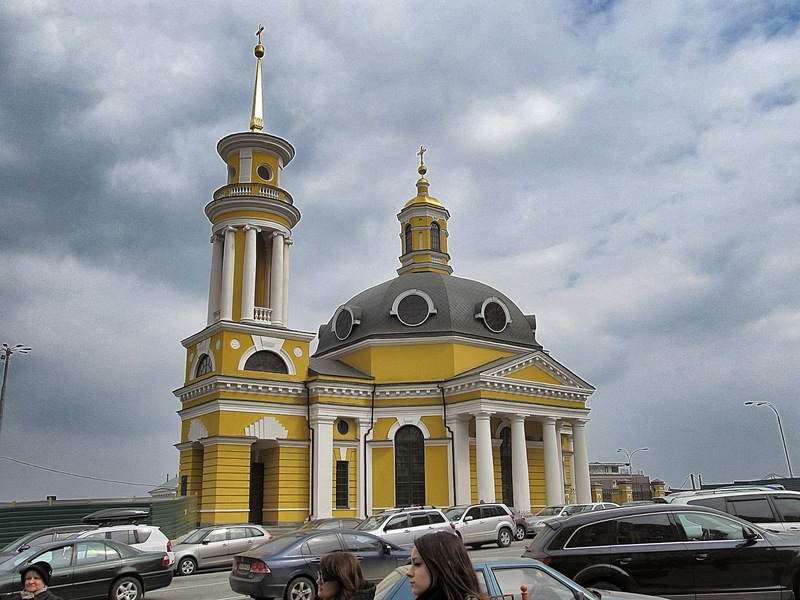 There is a more famous yellow church in Kiev, St. Volodymyr's, but I like this one for its smaller size and more subtle mustard yellow color. 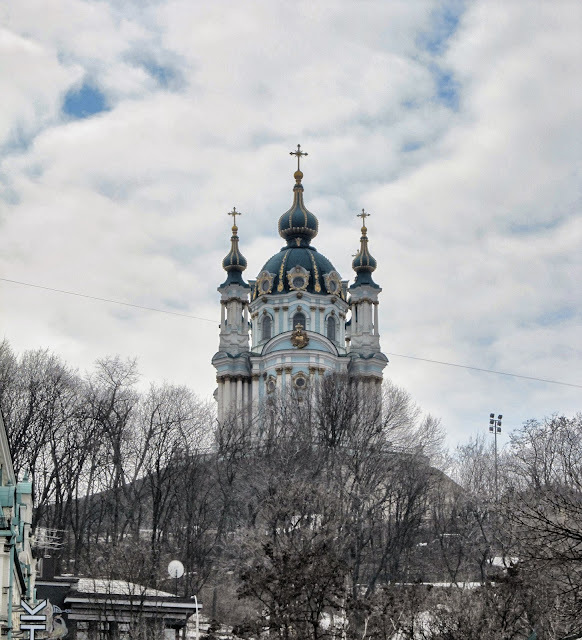 And here are two views of St. Andrew's which is also in Kiev and is, I'm pretty safe to say, my favorite church to take photos of. 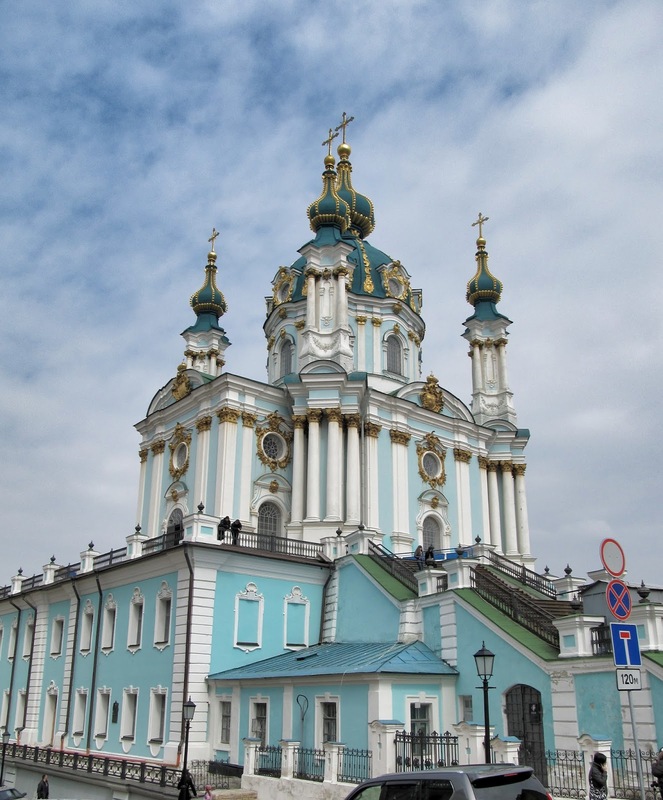 This may not seem like a controversial statement but Kiev has quite a few beautiful churches to choose from. Its location on one of the city's hills allows it to appear imposing while up close it is also a pretty tiny church.